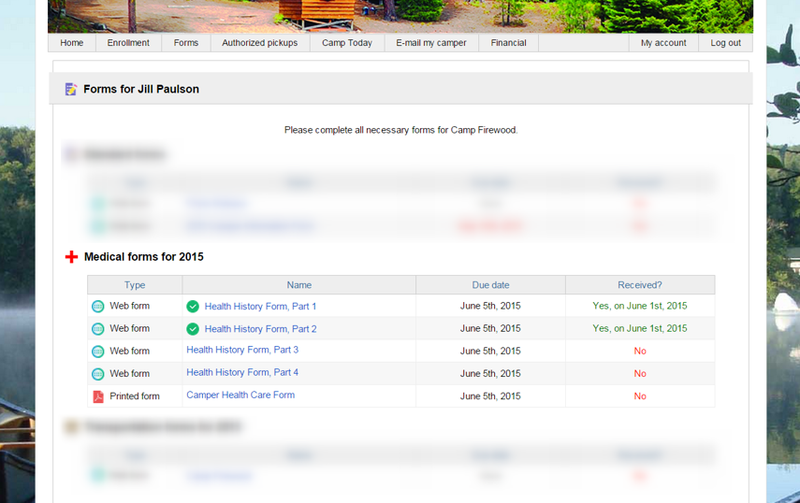 Parents can complete their Camper's Medical Forms by clicking Forms on the Parent Dashboard, then selecting the enrolled Camper for whom they wish to complete the form. 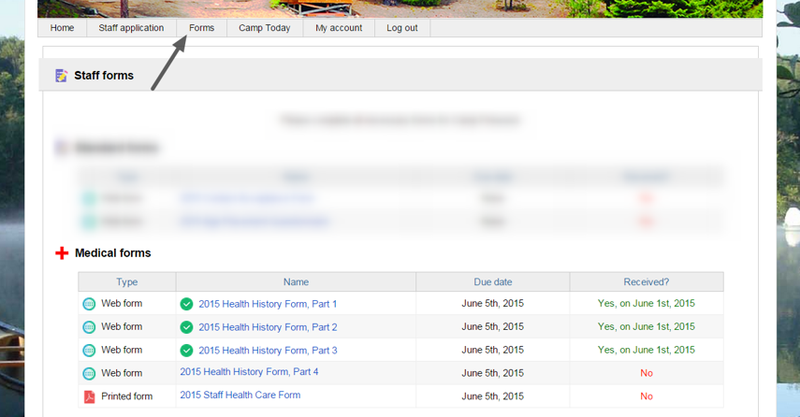 Camper Medical Forms are displayed along with their due date (if applicable), their submission status and submission date. 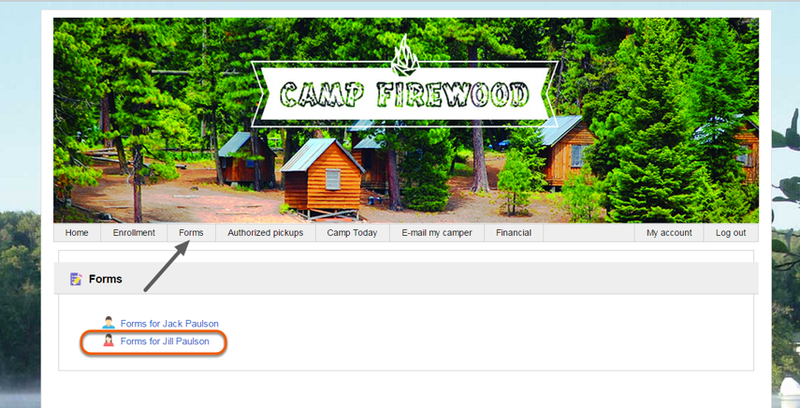 Medical Forms will not be displayed if you have administratively locked the Camper's Medical Profile. Hired Staff can complete their Medical Forms by clicking Forms on the Staff Dashboard. Staff Medicals Forms are displayed along with their due dates (if applicable), the submission status and submission date. Medical Forms will not be displayed if you have administratively locked the Staff member's Medical Profile.